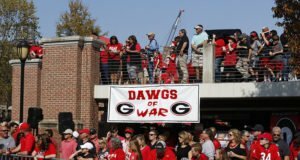 ATHENS, Ga. – After entering the contest averaging 205 yards on the ground each game this season, the Tennessee Volunteers were limited to 66 rushing yards by the Georgia Bulldogs, who produced five rushing touchdowns on their way to a 38-12 victory in Sanford Stadium on Saturday afternoon. The Bulldog (5-0, 3-0) defense was led by junior J.R. Reed, senior D’Andre Walker and sophomore Monty Rice, with six and five tackles apiece. Walker registered a forced fumble, his third on the year, and tacked on another sack, one of four for the team leader in both categories. 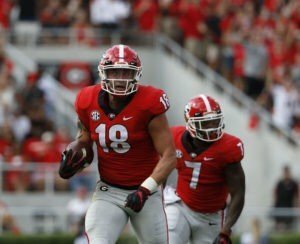 While six different Georgia receivers tallied 190 yards, the Bulldog backfield balanced the attack with a total of 251 yards, led by junior tailback Elijah Holyfield with 78 yards on 16 carries. Sophomore quarterback Jake Fromm directed the air attack, finishing 16-for-22 with 185 yards. 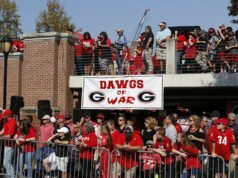 Sophomore tailback D’Andre Swift and freshman quarterback Justin Fields ran for two touchdowns apiece as the Bulldogs brought its average point production per game to 43.2. On 3rd-and-9 in the first quarter, Tennessee (2-3, 0-2) redshirt junior linebacker Darrell Taylor forced the ball out of Fromm’s hands, but the fumble found junior tight end Isaac Nauta, who ran for a 31-yard touchdown. The score marked the third straight conference contest the Bulldogs have opened the game with points from a fumble recovery. Of the Volunteers’ three offensive drives in the first quarter, they were limited to two three-and-outs by the Georgia defense. At the 11: 57 mark in the second quarter, junior place kicker Rodrigo Blankenship drilled a 43-yard field goal for the 10-0 lead. 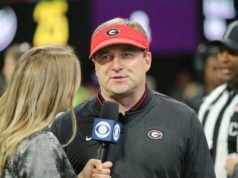 With a little over seven minutes remaining the half, the Bulldog defense stuffed the Tennessee offensive attack with back-to-back tackles for a loss from Walker and senior inside linebacker Keyon Richardson, returning possession to the Bulldog offense, who produced a 12-play, 70-yard drive to wind down the opening half. 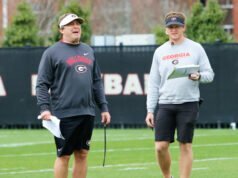 Fields jumpstarted the drive, contributing a 13-yard run, and Fromm continued it, connecting with senior wide receiver Riley Ridley and sophomore wide receiver Jeremiah Holloman for 12 yards apiece. Swift finalized the 17-0 margin headed into halftime with a 1-yard run pitched from Fromm, sealed by a Blankenship PAT. Back from intermission, Georgia resumed on offense with a 10-play, 75-yard drive, executed with Fromm completions to four different receivers and tight ends: senior wide receiver Terry Godwin, Nauta, junior wide receiver Mecole Hardman and junior tight end Charlie Woerner. 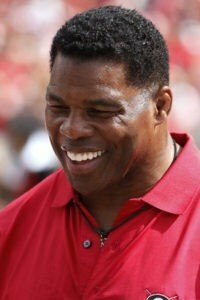 Fields sealed the drive with an elevated horizontal dive into the end zone for a 12-yard touchdown. A Blankenship chip for the extra point totaled 24 points for the Bulldogs. 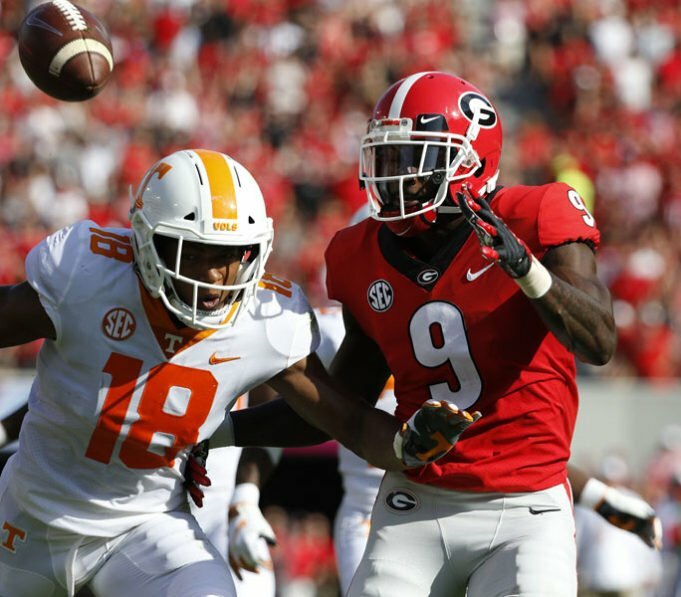 The next drive, Tennessee tacked on a 37-yard touchdown from redshirt sophomore quarterback Jarrett Guarantano to Josh Palmer, but a defensive stand in the end zone from senior defensive back Deandre Baker prevented the two-point conversion. The Volunteers added one more trip to the end zone with a 11:10 remaining in the game on a Guarantano pass to Ty Chandler but failed to complete a second attempt at a two-point conversion for the 24-12 margin. The Bulldog offense responded by eating 7:39 off the clock on 13 plays for 75 yards. Thirty yards from senior tailback Brian Herrien presented Swift with 14 yards to break several Volunteers tackles on his way to a touchdown and the 31-12 advantage. Walker forced his third fumble of the season with 3:24 remaining in the game. Senior linebacker Juwan Taylor recovered the fumble, setting up a 2-play, 31-yard offensive surge from the Bulldogs with Fields in the pocket. First, a Fields block opened a 16-yard run for Swift. The next play, Fields took the ball himself for his second rushing touchdown of the game and third of the season for the 38-12 final, complete with a Blankenship PAT.